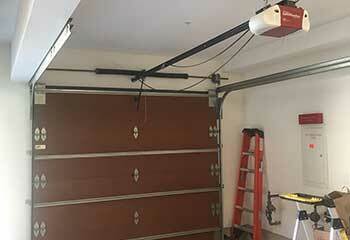 Our professional technicians can help you with a wide range of problems that may affect your garage door. If you're interested in reading about some examples of our work, then check out our most recent projects below. Customer Issue: The customer had disposed of his broken garage door opener on his own, but needed help choosing and installing a replacement. Our Solution: Since the trolley system was still in place, the customer wanted a compatible opener that would last longer than the previous one. The LiftMaster 550W garage door opener was a good fit, and also matched the existing wall console and could be programmed for smartphone control. Installation, calibration, and programming went smoothly. 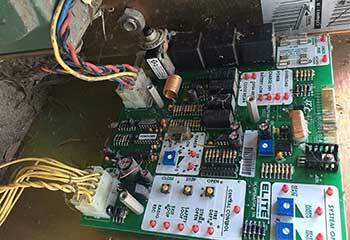 Customer Issue: The customer’s remote control stopped working and the batteries weren't the reason. Our Solution: After examining the remote and finding zero evidence of a problem, our team looked at the opener itself and, after some thorough troubleshooting efforts, discovered that some of the unit's internal wiring was fried. We replaced the circuit board and reprogrammed the remote, thus effectively solving the problem. Customer Issue: The customer's door had been forced off track. 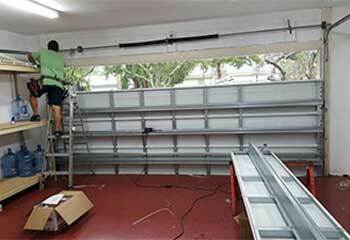 Our Solution: Our team removed the customer's door to re-secure the track with longer bolts. We then performed general maintenance and made sure that the door was working fine before cleaning up and leaving. 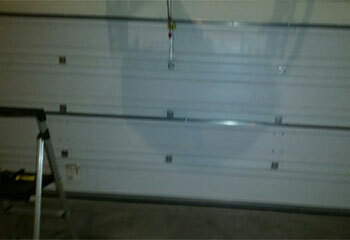 Customer Issue: Mr. Travis asked us to replace two damaged garage door panels. Our Solution: We painted two replacement panels to match his existing door and replace the damaged units. He was pleased with how nicely the new panels matched his old ones. 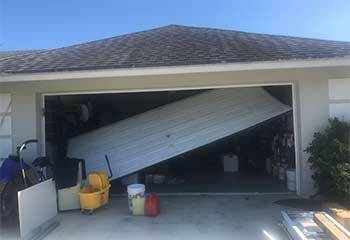 Customer Issue: Requested installation of a new garage door after her old unit was irreparably damaged. Our Solution: Ms. Jacobs decided on a new Marantec Comfort 260 door. After it arrived, we replaced her old door with the new one to her complete satisfaction.